Northumberland Regional High School (NRHS) is hosting an information session for students, parents and guardians who would like to learn more about the Pre-International Baccalaureate (IB) and International Baccalaureate program. Interested students must be going into Grade 10 or 11 in the 2016-2017 school year. The session is open to students, parents and guardians from any school in the local area. A representative from St. F.X. 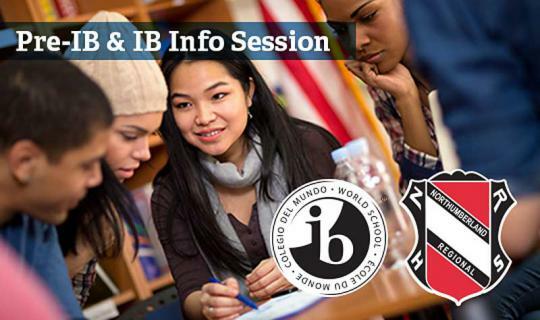 University will also be on hand to talk about the benefits of IB, how St. F.X. views graduates of the IB program and how IB graduates perform at university.